LOCATION: The location of our fourth chakra is in our heart. 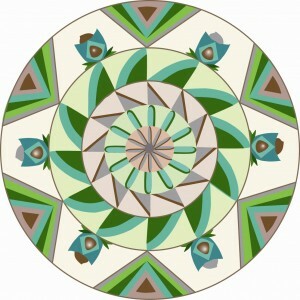 PETALS: This chakra rules the first of the higher vibrations. There are twelve spokes or petals. Twelve in numerology reduces to the number three. Three is the number which represents the relationship between Wisdom, Power and Love. It is this balance that is a primary focus of the Heart Chakra. Wisdom without Love and Power would be cruel and weak. Power without Wisdom and Love would be dangerous and selfish, and Love without Power and Wisdom would be victimized and foolish. In our hearts we must learn how to find and join all three of these virtues. 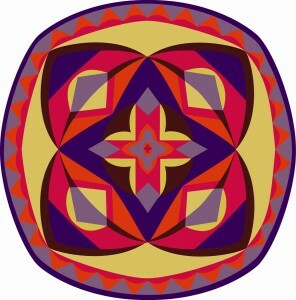 NOTES AND MANTRA: The note for this chakra is F# and the mantra is “Yam” or “a” as in ah. Chanting theses mantras in the key of F# while focusing our attention on this area of our body can enable us to more consciously access the Heart Chakra. 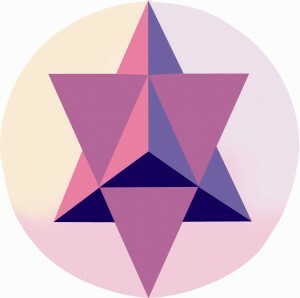 COLOR: The color for this chakra is green (and pink for the High Heart). Green is the middle color on the light spectrum and represents healing, growth and health. RULES: The Heart Chakra is the hub of our bodies, the center point where our internal masculine and feminine and our human and divine energies meet. The fourth chakra rules ALL of our intra- and inter-personal relationships. This chakra rules our perception of love, our ability to give and receive love from others, our highest essence, and ourselves. Our High Heart rules Unconditional Love and the lower Heart rules human love. It also governs compassion, healing, lungs, breath, and our sense of time, which is tied into the rhythmic cycles of our breath and heart beat. SENSE: The Heart Chakra rules our sense of touch. Touch is the first intimacy that we know as infants and remains our most powerful unspoken means of communication throughout our lives. Touch can be the most loving or the most fearful means of communication. It is in our hearts that we learn about touch and how we, in turn, wish to touch others. ASTROLOGICAL SIGN: Libra is the sign of relationships and Venus, the planet of love, rules it. Libra teaches us to balance our attention and love between our self and those that we love. Venus urges us to strive for contact, love, harmony and the augmentation of self. ELEMENT: Air is the element that is ruled by this chakra. The fourth chakra also rules our lungs, which is how we bring air—oxygen—into our bodies. The relationship between our lungs and our heart is vital. Without the fresh oxygen that our lungs drive into our hearts, our red blood cells could not carry vital life-force throughout our bodies. CONSCIOUSNESS: The fourth chakra rules our everyday, conscious lives. However, even in the most scientific person, some fourth dimensional aspects of empathy and intuition arise. The Heart Chakra rules our family and community consciousness, and it is through our hearts that we strive for unity consciousness with all life and with Mother Earth Herself. Our “human love” can often be filled with negativity, fear, hatred and cruelty. However, if we can function from our “High Heart”, our love is Unconditional and we are accepting and free of judgment. It is the challenge of our hearts to connect with and receive the love of our spiritual SELF so that we can heal the harm that others have done to us. Then, from the heart space of healing and self-love, we can love others as well. 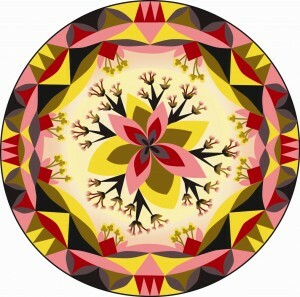 PERSONAL TIMELINE: This chakra represents the adolescent stage of life. In adolescence, a child creates his or her own identity, and to do this, they often rebel against those who have loved and guided them. They then must find the qualities of Wisdom, Power and Love that they have received from their inner and outer realities to develop the persona they wish to live. SOCIAL TIMELINE: The time era best represented by the Heart Chakra is the Renaissance. It was during the Renaissance that art and beauty was reborn after a long and painful dark age. The concept of “nations” began to replace the reality of “empires,” and worship was focused primarily on one God. ENDOCRINE GLAND: The endocrine gland for this chakra is the Thymus Gland, which is the core of our immune system and vital for our healing. Often it has been said, “love heals”. Both the psychological and the physiological centers of healing are in the Heart Chakra. The heart is known as the symbol of life. In metaphysical literature it is said that the Atma, which is the Three-Fold Flame of Life, is activated at our birth and extinguished at our death. NERVE PLEXUS: The nerve plexus for this chakra is the cardiac plexus, which is the neurological hub for the heart, lungs and the blood circulatory system. Without the circulation of blood and oxygen, we cannot live in our third dimensional world. CLEAR: When our Heart Chakra is clear and balanced we can experience love, compassion, acceptance and fulfillment. Our heart and respiratory system are strong and healthy, we have a good immune system, and we feel calm and joyful. We are able to balance our masculine and feminine aspects as well as our human and our divine aspects. Our relationship with our SELF and with others is happy, and we have found our service to our family, our community, our nation and our planet. UNCLEAR: When our Heart Chakra is unclear, we have an immune deficiency, lack of joy, heart problems, and bitterness in life. We are insensitive, emotionally closed, passive and sad. We have cardio-vascular or respiratory problems. We may suffer from hypertension, a stroke, a heart attack or asthma. Our lives often feel unfulfilled and we have not found our position in our family and in our community. Our relationships are unloving because we are as unable to receive love, as we are to give it. We are often critical, judgmental, uncompassionate and joyless. EARTH CHAKRA: Earth’s Heart Chakra is Haleakala, Maui. One visit to the verdant growth and aromatic breeze of Maui is enough to understand why it is Mother Earth’s heart. DIMENSIONS: The Heart Chakra rules the Beta wave consciousness of everyday third dimensional life and the Alpha wave consciousness which is the bridge to the higher dimensions. When our heart is open, we can live the beauty of every moment, smell every rose, create a reality of love and harmony and combine our superconscious guidance with our mundane life. Metaphysically, the Heart Chakra rules the areas of the brain that are the higher cortex and abstract thinking. These areas are best activated when we are “in the groove” of handling our everyday reality and when we have taken the time and focus to access our creative self. SUMMARY: Our Heart Chakra determines our ability to expand our consciousness. There is no degree of meditation that will access the higher dimensions if we cannot open our hearts to love. Without love we could not travel beyond the Lower Astral Plane and our consciousness would be limited to the separation and limitation represented by our ego self. Above all else, it is LOVE that allows us to climb the stairs to our observer self and allow true objectivity in our lives. From a perspective of objectivity, we can be free of the desires and passions of everyday life. Then we can be free to find our meaning as we progress through the development of our consciousness from dependent—to independent—to dependable. When our Heart Chakra is opened, our sense of self is not limited to our ego. When we have learned to balance our masculine/feminine and human/divine energies, we expand our SELF from individual consciousness—to family consciousness—to a community consciousness—to national consciousness—to planetary consciousness. Then we are ONE with the Mother, Lady Gaia, and we can realize that whatever we do to another member upon the body of Earth, we do to ourselves. Continue to: Where Is Gaia?